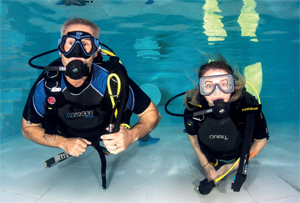 The Try Dive will take place on a Tuesday night at 8.30pm at Highgrove swimming pool. It will cost £25. Diving equipment will be provided; the participant needs to bring swimwear, towel and a £1 coin for the locker. There is a mimimum age limit of 12 years. The name of the person you are buying the voucher for and check the box that they are at least 12 years old. Please tell us about the person doing the Try Dive. Is there anything we should be aware of?